v.net.curvedarcs is a frontend to v.net and v.segment that creates curved arcs between given start and end points. The user provides a point vector map and a text file (see Notes section) with start and end point categories as well as a flow volume for this link which will be transferred to the attribute table of the curved arcs. The user can determine the nature of the curve with the minimum_offset and maximum_offset parameters. The longest curve's maximum offset from a straight line is equal to the value of maximum_offset in map units. 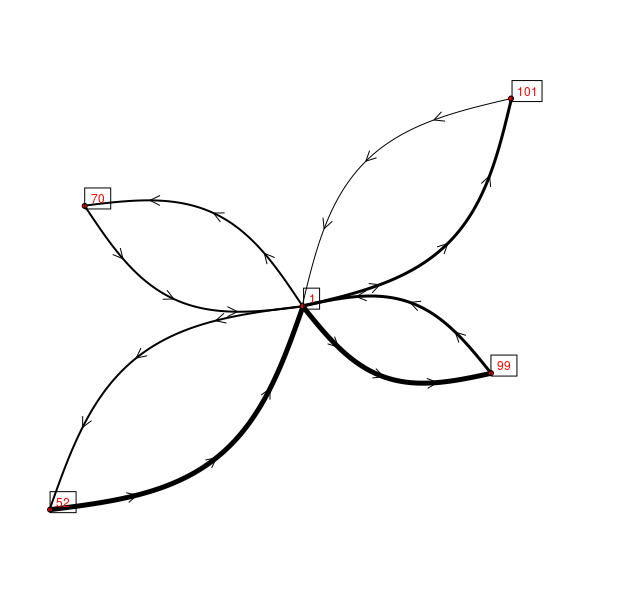 The other curves maximum offset from a straight line is calulated as length(x)/max_length * max_offset. 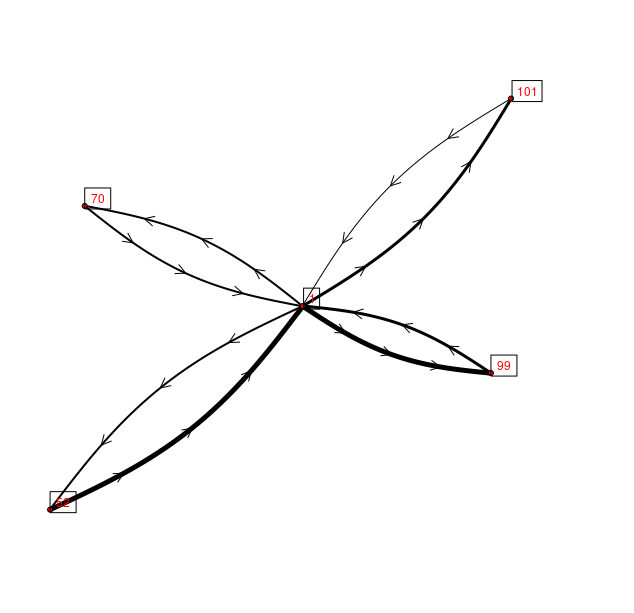 In other words, shorter lines are less curved than longer lines. However, any line's maximum offset is always at least minimum_offset from the straight line.